My Take on it – This IMHO is one of the worst Disney animated movies ever made. The story is pretty boring with very little plot and the attempt to merge animation and live action here just doesn’t work well at all. I have always liked Donal Duck, but this one was just atrocious. 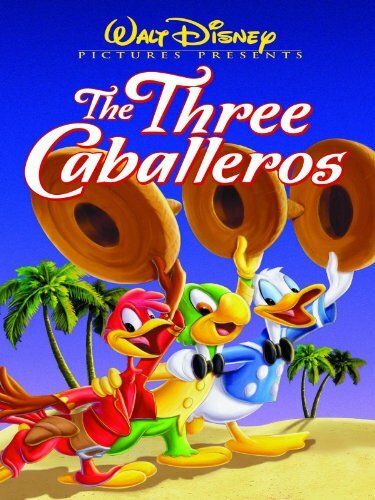 Walt made this movie during WWII in order to help US relations with South America. Glad those relations turned out much better than this horrendous movie did. Bottom Line – One of the worst Disney animated movies, not much of a plot. Skip it! lol old school cartoons woo hoo! Agree as well not my fave but I remember they used to play it on the Disney channel back in the day. disappointed because you saw it so many times or because it sucked? I hear ya. same by us, but we had HBO and Disney, so I would always scour the cable guide at the beginning of each month to find movies to watch or tape (once we got a VCR).